If it has been recommended that you have specific dental treatment, the following information will provide additional information. If you have any questions please don’t hesitate to contact us. Not all tooth traumas result in tooth loss. Impact can cause a cracked tooth, fractured roots or tooth intrusion (tooth pushed back into jaw). Injuries such as these should be seen by Wargrave Dental Clinic as soon as possible to analyse the severity and develop a treatment plan to rectify the issues. Pain maybe felt when eating certain food groups, or when breathing in cold air. Sensitivity can be caused when there is gum/bone loss from gum disease, brushing too hard or not brushing enough, or from sugary foods or teeth grinding. Working together we can ease these sensitivities through treatment, dental education and oral health maintenance. 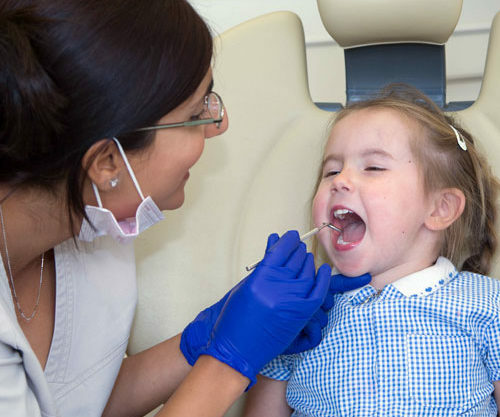 We would highly recommend that you attend for an appointment to assess your mouth/teeth if you have symptoms that you feel contribute towards swelling, infection or abscess. Clenching or grinding your teeth unconsciously may lead to broken teeth, pain when chewing or jaw ache. Wearing a mouth guard at night will protect your teeth from this involuntary muscle movement. Wargrave Dental Clinic is able to provide custom made mouth guards to help ease this pain. A loose tooth in adulthood indicates a potential dental health problem. If you visit us at the first sign of a loose tooth, we will determine the cause and severity, and develop a treatment plan to help save your tooth. If a tooth suffers decay or trauma sometimes extraction is the only viable route. X-rays will be used to assess the tooth and reveal any potential complications. We understand that extractions can cause nervousness in patients. Our vast experience in routine and complex extractions means we strive to make you feel as comfortable and as pain free as possible and ensure the issue is treated efficiently and effectively. The option of sedation will be made available to you.